The Jetstream boiler, which was later sold under the Kerr and Tempest brand names, was one of the earliest clean burning residential Wood Central Heating systems. Invented by Prof. Hill at the university of Maine, this boiler burned clean using blowers and a high-temp firebox lined with refractory. The boiler was designed to charge large water storage tanks, which then would be used to heat the living space. 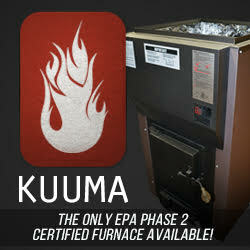 See: http://en.wikipedia.org/wiki/Jetstream_furnace or the enclosed PDF for more info. Prof hill (2012) currently owns an epa stove & a non-epa [sunshine] stove which he prefers to the epa stove. The sunshine has a MAGIC HEAT like flue extractor on it which he won't recommend. he designed his own chimney & cleans it by setting it on fire as he watches the interior with a mirror. He does not use a heat extractor on the EPA Stove..
Chicken & Waffles likes this.